In fall, I really start craving the coziest elements of home decor. 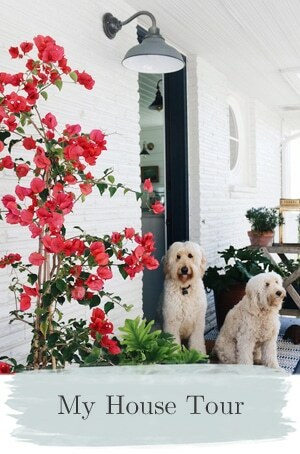 And while there’s no doubt about it that white walls in a bright sun-drenched space can feel clean and bright in the summer, there’s nothing cozy about it without the light or a lot of texture to warm things up. 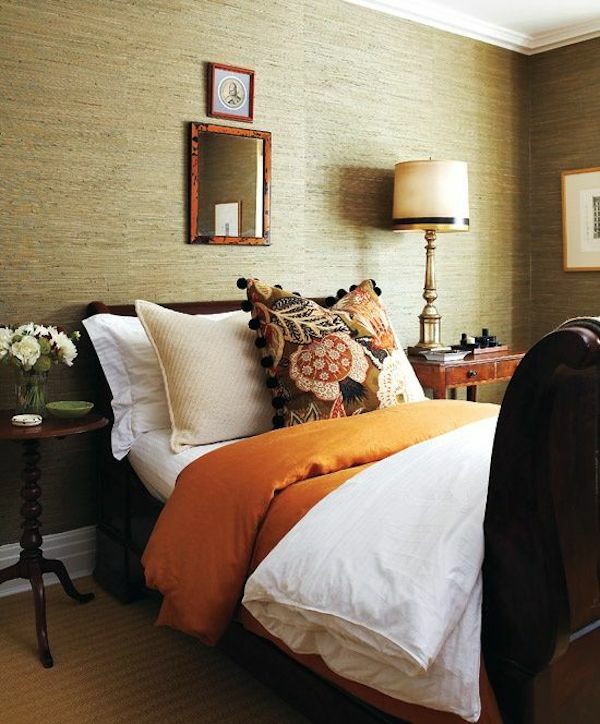 If you want a little autumn cozy, you really can’t beat a beautiful grasscloth wallpaper for warm texture on the walls. When I moved into my “castle,” the big 1930s English Tudor in Portland, it had grasscloth on the bedroom walls. I loved it but it was unfortunately so smoke-filled it had to come down. But ever since then I had a fascination with grasscloth and really wanted to install it again if the room was right for it! I know some of you are petrified about wallpaper and rightfully so, the paper decades ago was nearly impossible to remove. Trust me, we have removed lots of it in our day and it isn’t something I relish doing again. Stripping isn’t my favorite activity. :) But the good news is if you put the paper on the walls, you won’t likely be the one to take it down. Hopefully today they make a little less industrial strength paste to save the poor soul who must remove it? One can hope. I’m still getting to know this house and what it wants, but I can tell you for sure it would be pleased with grasscloth. Now, where to put it? Lots of things to think about and inspiration rooms to inspire the thinking! Enjoy. 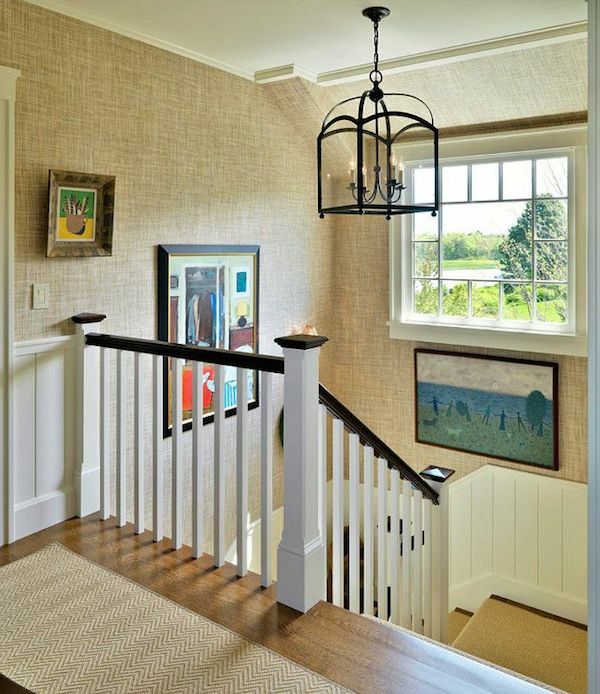 I adore grass cloth and have long considered using it in our foyer or guest bathroom – but you’re right! I’m scared of wallpaper! And of having to repaint when/if I change my mind. ? 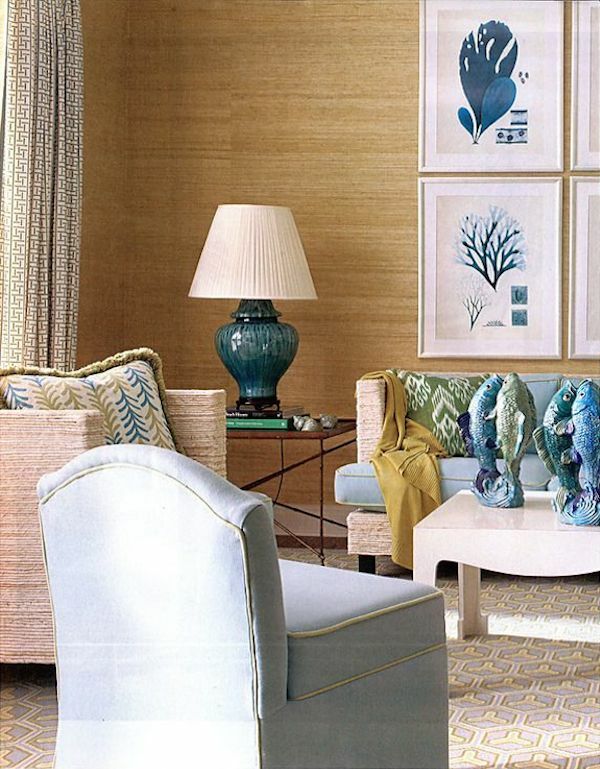 I am not usually a fan of grasscloth, but these pictures have me re-thinking that! I especially love the first entry. 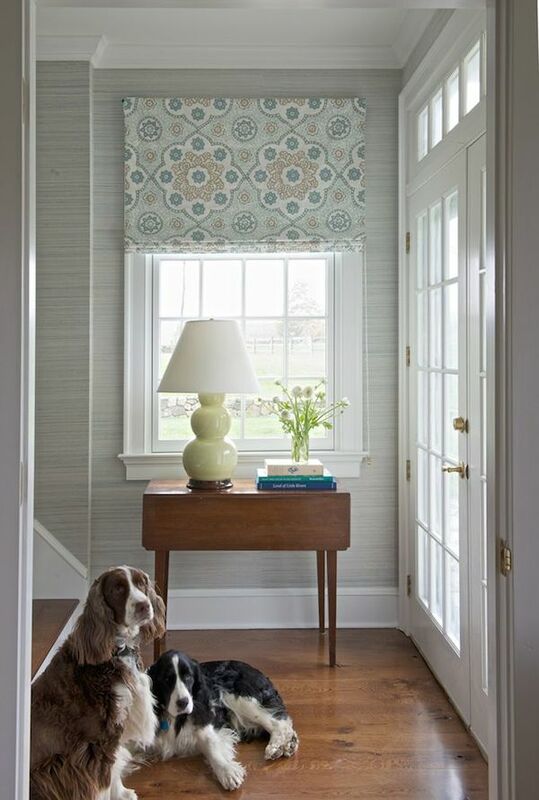 The wallpaper coordinates so well with the fabric of the roman shade. At first I was like “Put grasscloth on me” said noone’s walls, ever. Then…I saw the navy blue grasscloth. Now, well, now maybe I do have walls in a room, or two, beginning to whisper about a secret grasscloth crush they have, and maybe they need some grasscloth after all. 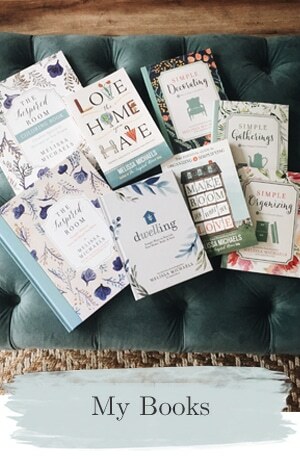 Thank you for sharing such lovely inspiration pictures. Ha, yes!! If you give walls a chance, you never know what they might actually be crushing on! Even grasscloth. I haven’t paid attention to wall paper for years, so I had no idea that grasscloth came in colors! Beautiful navy and aqua! Its very fun watching your home take shape! 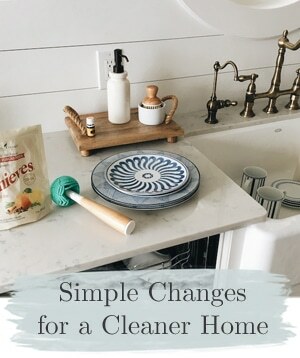 I love, love grasscloth, but after nightmare experience taking old wallpaper down in my house, I have tried to get my fix by buying “grasscloth like” placemats and table runners. One more way I might use it, is to create a grasscloth picture frame matte the next time I need new artwork. I wouldn’t use grasscloth in a moist bathroom as hair, lint and hairspray would stick to it. Thanks for sharing the gorgeous photos. 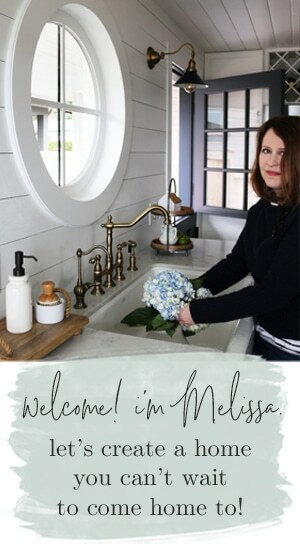 Oh Melissa – I LOVED this post. Beautiful in every way. Brings back sweet memories – In 1974, my first home, I put up wall paper and in my living room – the grass cloth. Still brings a warm smile to my face. I am loving the grass cloth idea! I have always loved grass cloth, but hated how the seams showed. Looks like they have fixed that problem! I really don’t see many seams. 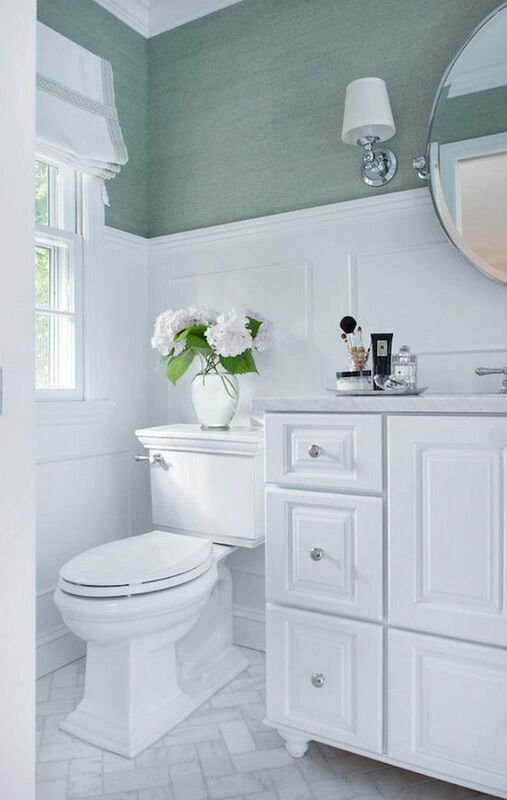 I’m thinking my powder room could use some! The grass cloth is stunning and I love the variety of colors it comes in. Warm texture yes please! Oh yes!! Grasscloth is amazing in a room. I vote for using it in your entryway. What an inviting welcome it will make. I love all the inspiration, but must say I’ve had that Tommy Smythe bedroom pinned like forever. I couldn’t put my finger on what makes it so charming, because it’s a wee bit dark to me. But, I bet it’s the walls covered in grass cloth. I wonder if grasscloth collects much dust? Do you have experience/advice/thoughts about paintable wallpaper? I have an old Arts and Crafts bungalow with lathe and plaster walls, one of which has bad wallpaper on it. I was considering an embossed paintable wallpaper. I grew up in a house with grasscloth on the hall walls. I have always enjoyed it – it never seems dated to me. I think it gives a hallway some definition, in what can otherwise be an overlooked space. Many times a glaze by a professional can save a grasscloth from being taken down. Wow, now you’ve got me thinking of where I can add grasscloth in my new home!!! 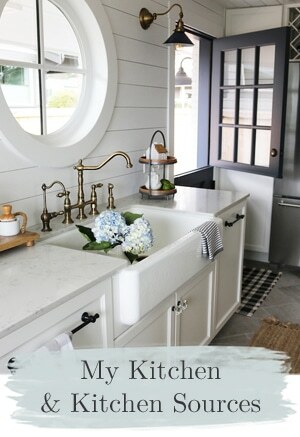 Gorgeous inspiration photos! We added panels of grasscloth framed with narrow molding to our flat sliding closet doors to add texture to the separate sink area of our Masterbath that has almost no wall surface. It made a huge difference because the doors are large and dominate the room. Oh, girls. 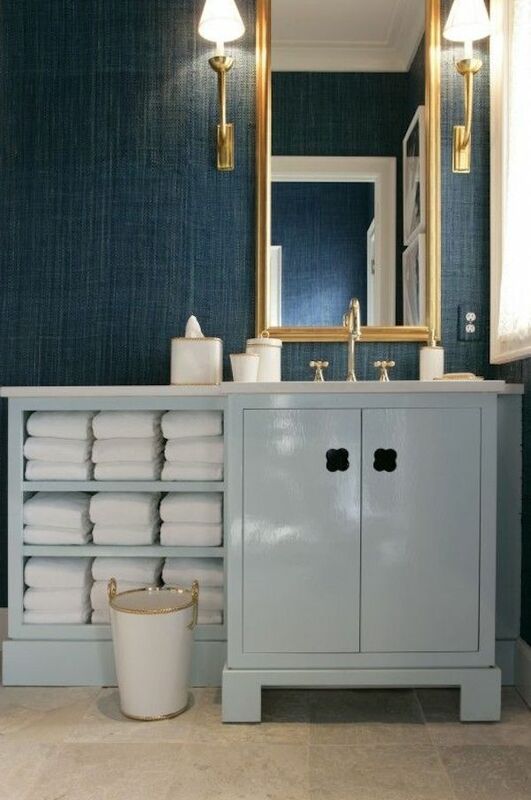 I’ve wanted navy blue grasscloth since I don’t know when. Has anyone besides me considered faux grasscloth? Easier to hang, easier to hide those pesky seams + more durable too? Lovely images. I love grasscloth too, but don’t love the issues with wallpaper. However, I glazed a “garden room” in my house a few years ago, and it’s identical in appearance to grass cloth. I did an under coat (white) of a semi-gloss (I think–either satin or semi-gloss, but in any event it has to be fairly glossy to work) finish and let it dry. Then I mixed an over-paint (in my case, pale green), with 4 pts glaze, 1 pt. paint. Then I rolled the glaze on on one “panel” at a time, next “dragging” the pattern into it with a clean, new wallpaper smoothing brush (I bought it at Home Depot and cut it in 2, one piece about 8″ long, the other 4″ to use in corners/small spaces). It looks perfect and has held up beautifully. 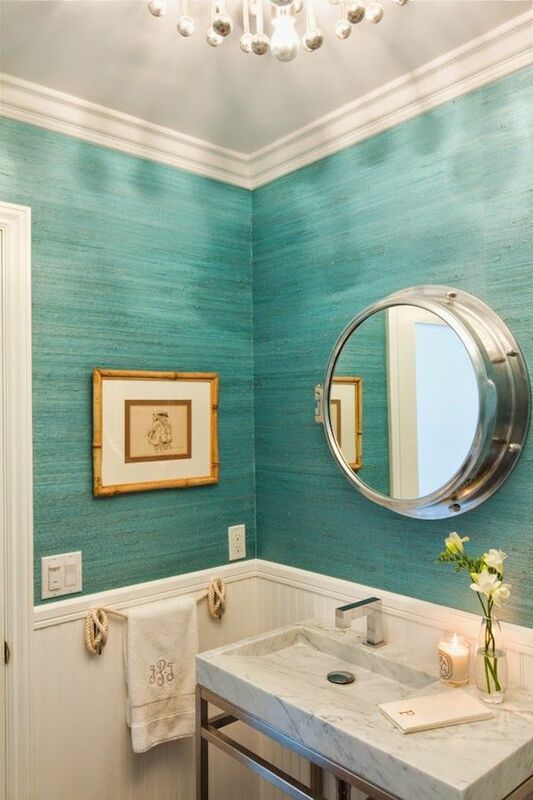 I plan to do blue “grasscloth” in my bathroom soon. 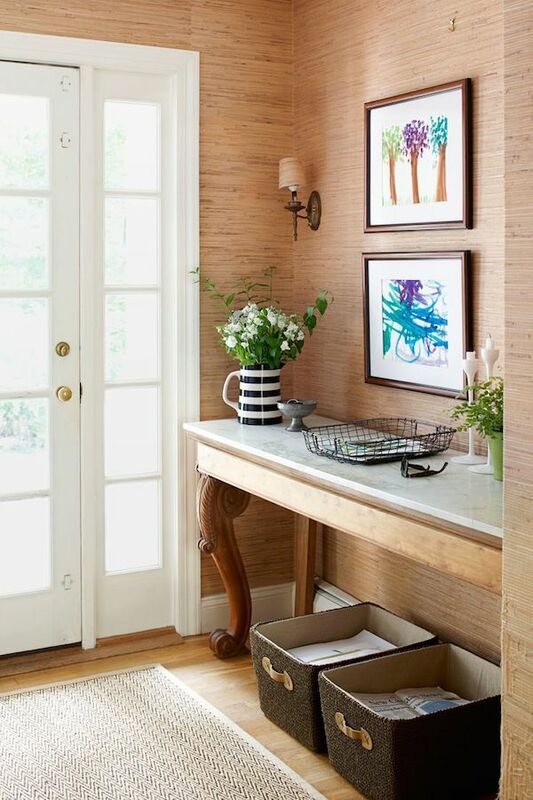 I would only use the wallpaper brush for 1-2 rooms, max, or the fibers start to fray and then you lose the striations. To get the look/colors I wanted, I simply tested first on pieces of thick, foam-core poster board until it looked as I visualized. Hope this helps all those folks out there who want grass cloth but are afraid of wallpaper! My last house had grasscloth in the halls and drawing room, original to the late 60s house. It had been painted over (presumably to hide a less fashionable late 60s hue), but I loved the extra texture it added even in shades of cream and white. It did collect dust, but no more than most walls do, it was just a bit more noticable, so I was a smidge more likely to attend to it. 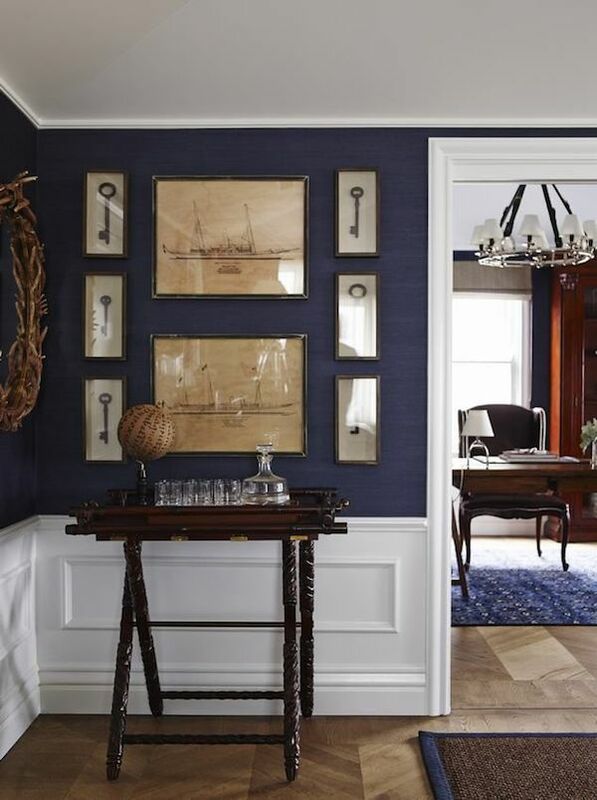 I want to repurchase that house and paint all of the geasscloth that swoon-worthy navy. 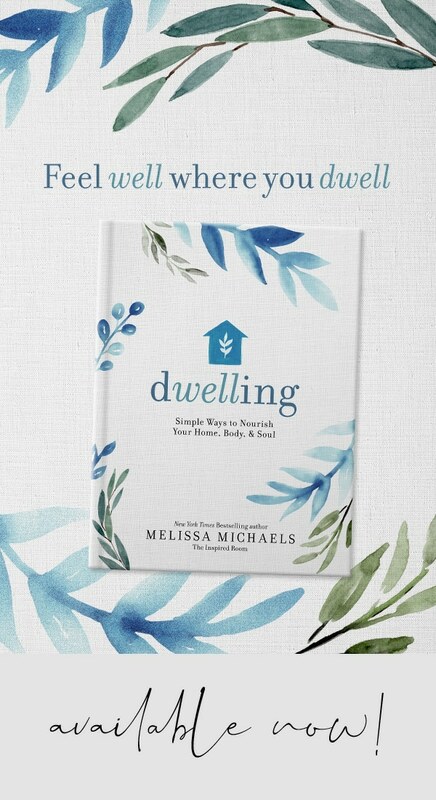 Dear Melissa, let me begin by telling how beautiful you made my day by posting beautiful inspirational pictures that could grab the anyone’attention anyone.Wonderful images, great work, Ii have always loved the idea of grass cloth as it gives a very natural texture to the walls. I recently renovated my house in Toronto, thanks to Bedford Brook designers, Ii have it the way Ii want it and I am ,totally in love with it :) . We used red grasscloth in our master bedroom, the red and white combination is any day very romantic. A little interior decor like candles, lightnings simply makes my bedroom perfect. I chose pink grasscloth for the kid’s room as she lives in Disney land of barbies. Grass cloth makes it all perfect,it gives a very natural texture to your walls,trust me you will simply love it! And, yes can somebody detail about the floor tiles used in the fifth picture? It’s just marvelous!!! 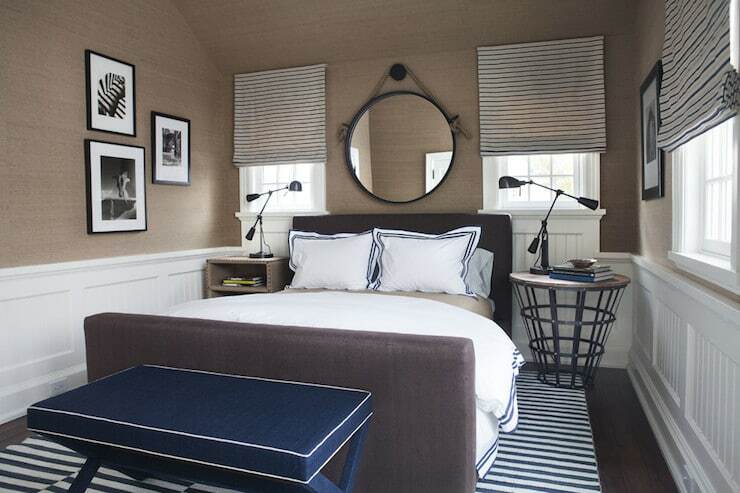 I LOVE the SB Long Interiors nautical style bedroom but am unable to pin it or find it on her Pinterest boards. Any suggestions? They all look so lovely…I’m wondering if you have allergies if this type of paper would cause them to flare up? I know my son use to get really stuffed up when we would go to a church that had grass cloth on the walls. Maybe because it held dust? Our house (once a summer cabin) has a glassed-in porch with a wall the same siding as the exterior. This had grass cloth glued directly over the siding when we moved in…then it degenerated with the strong sun, then when the roof was off it rained and stained the wall. What a mess! Getting it off was SO hard, so I don’t have good impressions of grass cloth. But those pictures are really pretty! Sure makes a different when it fits into the context of the house! We’ve always had wallpaper on the walls in our master bedroom, and 2 years ago I hung grasscloth on the walls vs. a printed paper. I absolutely love the warmth and texture it provides. It’s a honey color, and the accents in the room are an aqua/teal along with a bit of paprika color. The seams of the grasscloth will always show because it is a natural product, and the seams are a part of the beauty. I look forward to seeing what creative ideas you put to use in your new home. Love grasscloth! My sister has had it in every home she has owned since the 60’s and honestly, it doesnt seem to go out of style. 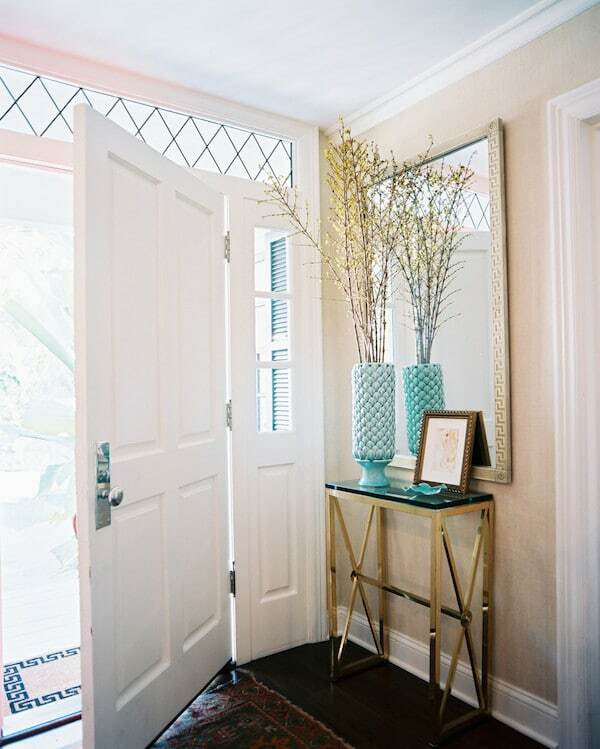 I wanted it in my entryway but have been too afraid to do it myself and then too cheap to have a professional do it! Love! Such a simple (yet elegant) way to add a bit of texture and/or color. Decorating with textures is sometimes tricky. 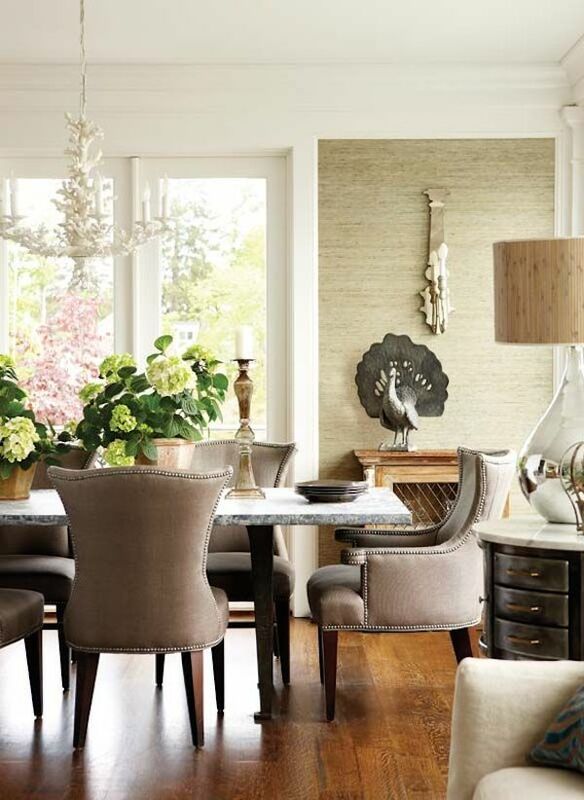 Grasscloth is something that looks beautiful when it blends into the décor, but can be terrible if it isn’t done well. The goal is to find a way to mix the patterns and textures in a way that goes with your existing décor.